On the 27th of June in the year 678, Agathon was elected the Bishop of Rome and took the Papal Coronation Oath. As pontiff, it appears, he was also efficient in business matters, because he maintained the accounting records in his own hand, contrary to custom. Shortly after his enthronement, a deadly plague struck Rome. Agathon instituted processions and public prayers to entreat God's mercy upon the people. Many were healed because of his supplications, and for this he became known as a wonderworker. On one occasion he even embraced a leper, and the man was immediately healed. 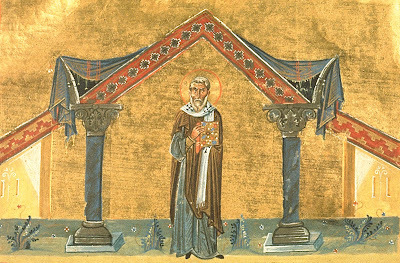 In 679 Pope Agathon also supported Saint Wilfred, Bishop of York (634-709), in his dispute to bring the Roman forms and customs, such as the dating of Easter, and the Benedictine Rule to Britain and regarded the Celtic bishops as schismatic. When Wilfred was unjustly deposed as Bishop, Agathon called a Lateran Synod and had him restored. The great event of his pontificate was the Sixth Ecumenical Synod which took place in Constantinople in the year 680-681. At this Synod the Monothelite heresy was condemned and it once again restored communion between the sees of Constantinople and Rome. In preparation for this Synod, Agathon ordered Local Synods to take place in the West so that all could be united in presenting the Orthodox faith at the Ecumenical Synod. "The Letter of Agathon and of the Roman Synod of 125 Bishops" was to serve as an instruction to the legates sent to attend the Sixth Ecumenical Synod in the Trullo (domed hall) of the Imperial Palace. When this letter was read at the Fourth Session, and affirmed the traditional belief of the Church that Christ had two wills, divine and human, the Synod proclaimed with one accord: "Peter has spoken through the mouth of Agathon," just as the Holy Fathers of the Fourth Ecumenical Synod did for Pope Leo. When the Synod ended in September of 681, the Monothelites Sergius and Cyrus were condemned, along with the now reposed Pope Honorius of Rome (which became a stumbling block for the supporters of papal infallibility in the 19th century). When the decisions of the Synod were sent to Rome, Agathon had already reposed in the Lord, on the 11th of January of that same year. Yet his successor, Leo II, approved the definition of the Synod and had it sent to all the Bishops of the West. The Sixth Ecumenical Synod not only ended the Monothelite heresy, but also healed the schism between Constantinople and Rome which existed at the time due to this heresy. The renewed harmony between Rome and Constantinople may be reflected in the origins of the next sixteen Popes. Only four Popes between 682 and 772 would originate from Rome, whereas the others would be mainly Syrian, Sicilian or Greek. * Latin sources imply that he had previously been married for about twenty years, during which time he had become financially successful. This is based on a letter of Saint Gregory the Great (ca. 540-604), authorizing the abbot of the monastery to accept Agathon if his wife entered a convent. If this letter indeed refers to this Agathon, then he would have been a very old man when he became Pope of Rome. 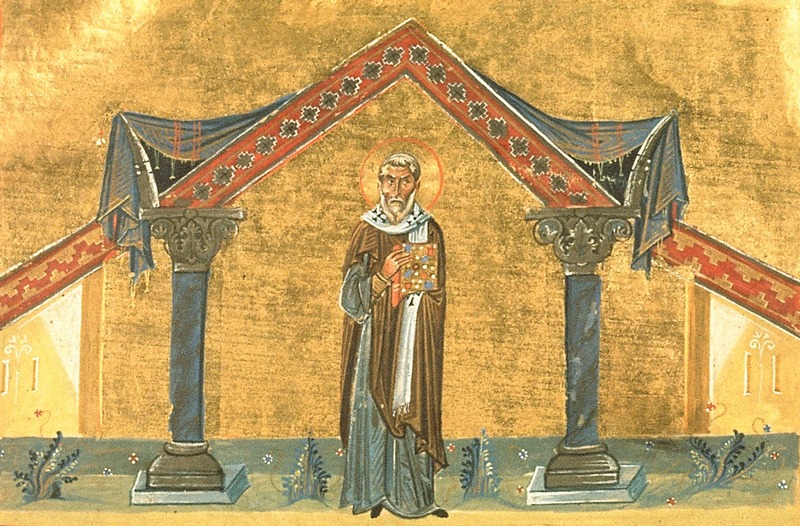 The Great Synaxaristes (in Greek) makes no mention of the Saint's marriage; only that he became a monk. It is generally believed he was born in ca. 577 and lived to 681. In the West he is commemorated on the 10th of January.